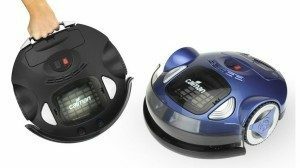 Kalorik Robot Vacuum Cleaner Only $79.99 Shipped! You are here: Home / Great Deals / Kalorik Robot Vacuum Cleaner Only $79.99 Shipped! Do you hate vacumming and wish you could find someone to do it for you? Check out this Kalorik Robot Vacuum Cleaner Only $79.99 Shipped! This takes so much of the work out of vacuuming and is super fun to watch! Grab this and other great deals every day at Groupon!